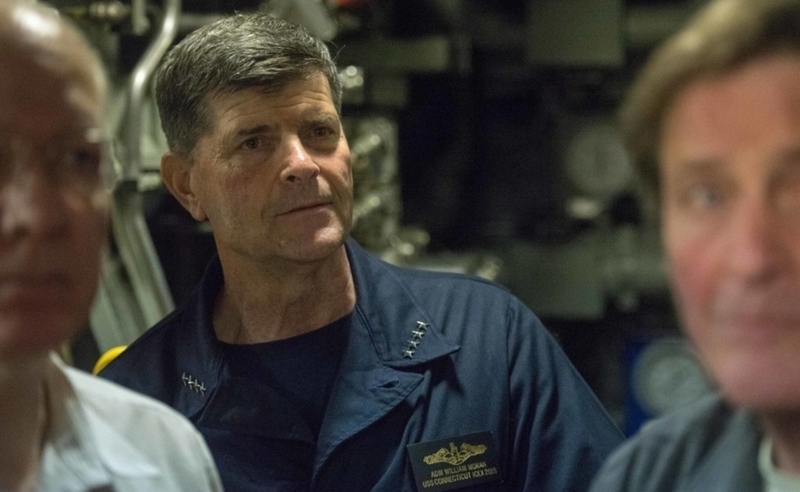 If confirmed by the Senate, Adm. William Francis “Bill” Moran will fleet up as the Vice Chief of Naval Operations to take the helm of a Navy in flux, pursuing a fleet of 355 warships during an era of increasing competition from Russia, China and other rising powers. They included his stint as a junior captain serving as an executive assistant to Adm. Thomas Fargo at U.S. Pacific Command between from 2002-2003 and then a similar task as a senior captain to two chiefs of naval operations nearly a decade later, the position he’s preparing to fill now. To Fargo, it was an unusual move. Typically, those slots are reserved for senior captains soon to pin on their first stars, rarely do the go to “fresh-caught” captains who had yet to hold a major command, he said. “He I think that’s one of the reasons because he engages and listens really well,” Fargo said. But most of all, Fargo said is the fact that Moran “is absolutely forthright and transparent with truth" and his inherent credibility resonates down the ranks.